Alan Garfinkel lives in Bakersfield, California with his wife and children and a menagerie of pets. He has been interested in the indigenous cultures of eastern California for over three decades. His initial association with the region came with a graduate internship program for the Bureau of Land Management where he completed the National Register of Historic Places nomination and a cultural resource management plan for the protection and public interpretation of Fossil Falls and Little Lake at the western edge of the Coso Range. At that same time, he also completed survey work, identifying upland pinyon forest archaeological sites along the proposed route of the Pacific Crest Trail in the far Southern Sierra Nevada. These and other studies within the region became the basis for his landmark Ph.D. dissertation on Prehistoric Forager Ecology completed at the University of California, Davis. That research was published in monograph form through the Maturango Museum in Ridgecrest, California (Archaeology and Rock Art of the Eastern Sierra and Great Basin Frontier, 2007). Dr. Garfinkel has focused his research interests geographically and topically. His studies have been aimed at understanding the rich and complex archaeological record of the far Southern Sierra Nevada, Tehachapi Mountains, western Mojave Desert, and southwestern Great Basin. This region was the home to several ethnolinguistic groups including; the Tubatulabal, Kawaiisu, Panamint Shoshone, Owens Valley Paiute, Yokuts, and Kitanemuk. 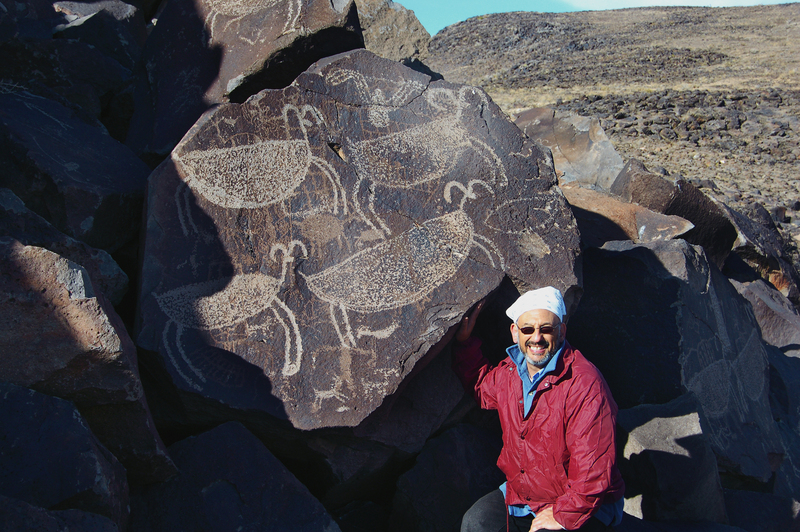 Alan has attempted to bring the rich rock art record of the Coso Range into discussions of the prehistoric archaeological record of the area with an attempt to integrate these data sets into a fuller picture of prehistoric lifeways and culture change. His studies focus on linguistic prehistory, prehistoric population movements, forager religion, animal ceremonialism, and Numic Ghost Dance paintings. Most recently his work has been framed in close collaboration with the Native peoples of the area and has applied their cultural constructs and unique perceptions into interpretive schemata for the local rock art.